Usually the side of the back case gets deformed because of dropping damage, and that creates cracks in the touch panel or in the LCD display itself. Only the whole panel can be replaced. 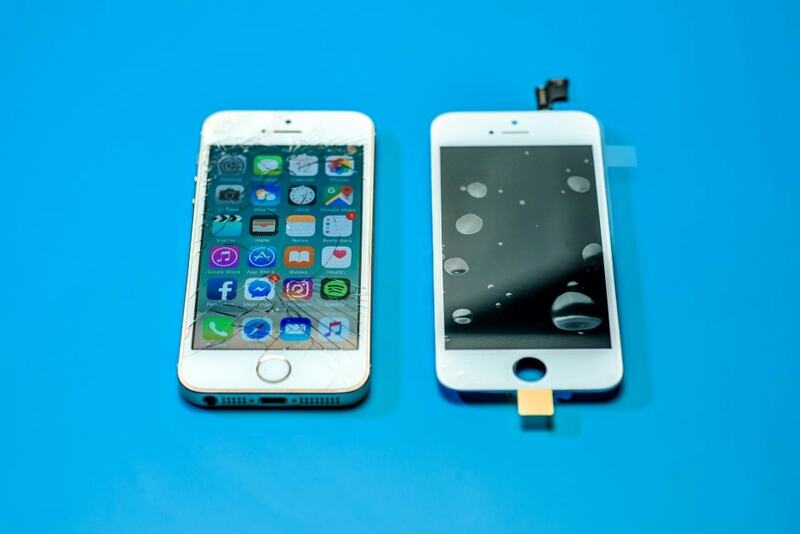 The iPhone 5S has a 4-inch widescreen Retina display with the well known Multi-Touch technology. The resolution of the LCD display hasn't changed from the iPhone 5, it has a 1136x640 px resolution, 326 ppi panel. The iPhone 5S has an oleophobic coating on the glass, to resist fingerprints and it's in compliance with the sRGB worldwide standard. Despite the efforts Apple makes, the display modules are still vulnerable to accidents and cracks can form on them, which can lead to aesthetic or functional problems. In many cases, these can only be solved by replacing the display, which gets done quickly in our repair center, so clients can stay and wait it out. First, as with all repairs, we turn off the device. Next, we remove the two 3.9 mm Pentalobe screws that are adjacent to the lightning connector. 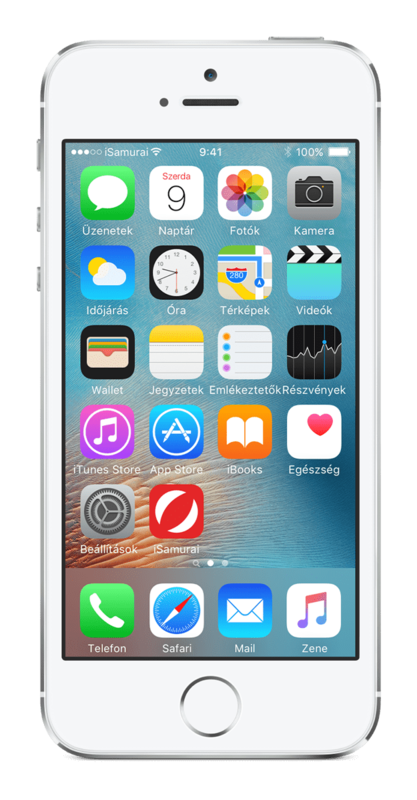 We don't lift up the display fully - just until the home button (Touch ID) ribbon cable lets it. Using a tweezer, we unseat the metal plate covering the ribbon cable connector. After that, we can disconnect the cable from the dock connector and we can open up the phone. We should never work with metal tools inside the case, only professional equipment fulfilling the ESD standard. Next, we remove the cover plate covering the battery, to power off the phone completely. It's held down by two 1.6 mm screws and a metal cover plate. The display cover plate is fixed in place by 4 screws, where the placement and size of the screws is very important for proper functioning. There is a non-magnetic metric screw here, which is necessary for the electronic compass to work. After we remove the cover plate, we can carefully (otherwise we can damage the logic board) disconnect the connectors. If we opened up the display, touch and sensor ribbon cable connectors, we can separate the display from the rest of the iPhone. The following step is to disassemble the display assembly and remove the ribbon cables and cover plates from it, which we will transfer to the new display module. Even small mistakes can cause a lot of damage, therefore our repair staff works extra carefully during this step. Next, we remove the cover plate of the sensor ribbon cable, which is fixed onto the front panel by two screws and a plastic flap. This frees the earpiece speaker, which we can remove. After this, we remove the ribbon cable together with the heat transfer sticker of the front camera. 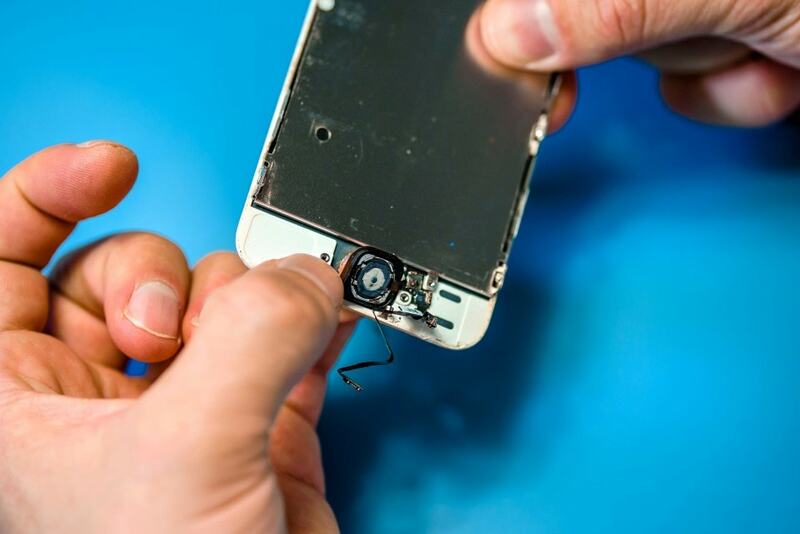 In contrast to the previous iPhone the home button ribbon cable is different, so the repair process changes slightly. First, we remove the screw fixing the ribbon cable to the back cover plate of the display assembly, so that we can access the cable and the screws on the cover plate. 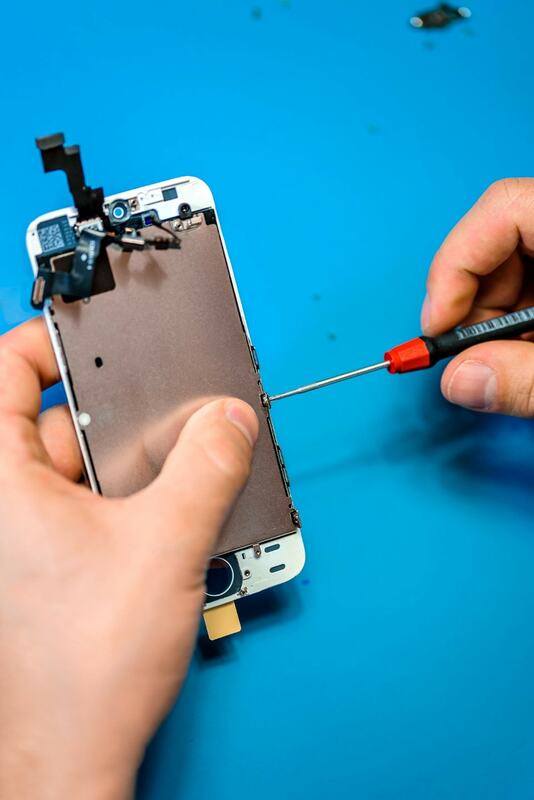 We carefully move the cable away and remove the two screws from the cover plate of the home button. The home button has to be removed carefully so that the ribbon cable doesn't get damaged, otherwise the home button or the Touch ID fingerprint scanner won't work after reassembly. 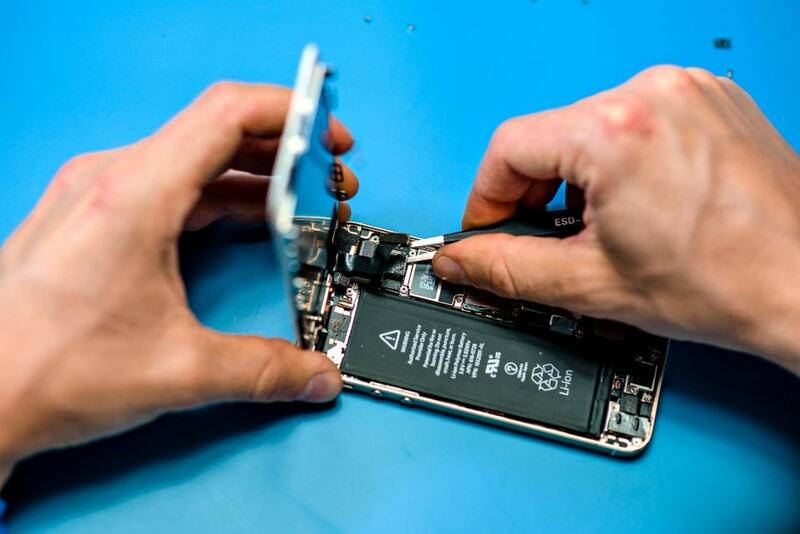 We replace the home button rubber membrane during reassembly. At the back of the display, the only remaining step of the disassembly is to remove the shielding plate, which is fixed in place by two-two screws on the side and one on the top of the display. The last step of replacing the display is to reassemble it in reverse order, while being careful to precisely position screws and other parts. 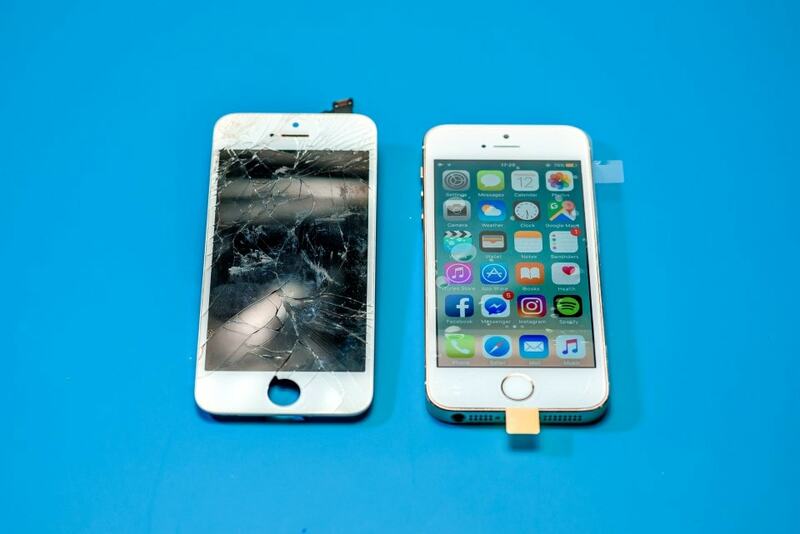 Usually the back case of the iPhone is also damaged or deformed, not just the front panel, which in these cases also needs to be repaired to ensure the appropriate seal between the display and the back case. If we are unable to repair the back case, it needs to be replaced.